comme l’un des plus grands tsars de Russie ? Qui a fondé Saint-Pétersbourg ? Comment Moscou est-elle devenue la capitale de l’Empire ? Qu’est-ce qu’un cosaque ? Pourquoi la révolution de 1917 a-t-elle eu lieu ? Que symbolisent la faucille et le marteau sur le drapeau soviétique ?… Illustré de chromos d’antan, ce petit livre raconte dix siècles d’histoire de la Russie, de la naissance du peuple russe au ixe siècle jusqu’à l’avènement de l’URSS. Catherine Zerdoun is an author, journalist and translator. She has written many cultural and patrimonial works, notably Le Moyen Âge and Les Rois de France with Milan Editions. With Editions E/P/A, she has published La Russie (from the « C'est le rêve » series) and The Little Book of Important Historic Figures. When was the Kremlin built? Why was Tsar Ivan nicknamed the Terrible? What are the main characteristics of Russian icons? Why is Peter the Great considered to be the greatest Tsar of Russia? Who founded Saint Petersburg? How did Moscow become the capital of the Empire? What is a Cossack? Why did the 1917 Revolution take place? 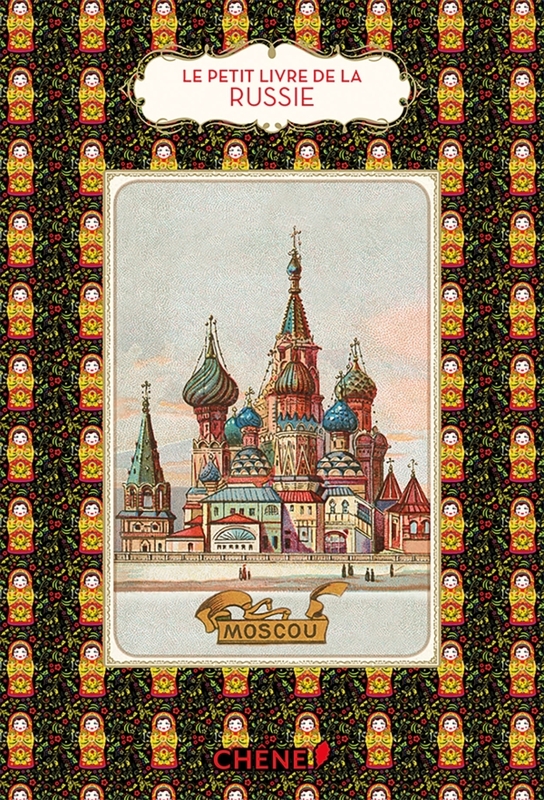 Illustrated with vintage chromos, this little book tells the story of ten centuries of Russian history, from the birth of the Russian people in the IXth Century, to the 1917 Revolution which marked the end of the Empire.